RICHMOND, Va. (WVIR) - A former University of Virginia student who has already spent more than three decades behind bars will not get a pardon from Governor Terry McAuliffe before he leaves office. Jens Soering requested clemency from the governor. 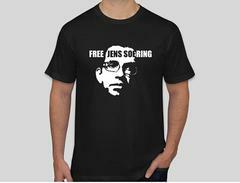 Activists have also sought a petition for Soering. He's serving a life sentence in the 1985 slaying of his ex-girlfriend's parents. 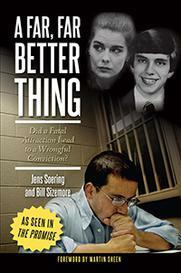 Soering initially confessed to the killings but later recanted. The governor's office says that investigators are still reviewing claims that DNA evidence points to someone else being inside the Bedford County home and killing Elizabeth Haysom's parents. McAuliffe says that the state is conducting its own investigation before any decision on the pardon can be made, and that investigation will not conclude before his time in office comes to an end in January. "I set up a process when I became governor, a very thorough process, anyone who's asking me for a pardon petition has to go through an investigative process, I hired former state troopers to run it, that process is going on today," says McAuliffe. McAuliffe says he believes Gov.-elect Ralph Northam will be able to make a call on the pardon petition early next year. Soering had previously filed a petition for pardon back in 2010. Then-Gov. Tim Kaine asked the Justice Department to transfer Soering to a German prison, but Kaine's successor, Gov. Bob McDonnell, revoked that request. Soering's attorney says that he is disappointed with the decision but that he and his client remain hopeful that Northam will grant the pardon. He says his client is also currently awaiting results in a request for parole.